I believe that this is a book of quite exceptional quality and power. The author has developed something really quite original and in a way that could have a significant impact on political philosophy, political science and political economy. He is quite right in saying that the idea of exploitation although frequently used in economics debates in the quality press has not been subject to any kind of thorough and systematic examination. . . What we have not got and what the author supplies is an account of exploitation which is based upon the general assumptions of liberal democratic capitalist societies and a theory developed using the techniques of modern political philosophy as exemplified in the work of theorists such as Rawls and Dworkin. None of these modern thinkers, despite their strong interests in equality have developed an account of exploitation linked to their views about equality. This is a serious gap in the literature and particularly for egalitarians. It is also true to say that thinkers at this end of the liberal spectrum have no conception of a just price other than a price that is arrived at to provide the basis for free and uncoerced exchange. However in the author's view the idea of the just price is both crucial in its own right and also essential to make sense of the idea of exploitation. One part of the originality and the power of Reiff's analysis is that in a way he turns most of these assumptions on their head. He develops a non Marxist account of exploitation when most liberal thinkers believe that it is tied to a Marxist analysis and secondly he provides an account of exploitation which he believes follows from a proper analysis of liberal political economy and indeed liberal capitalist conceptions about equality, justice, rights and liberty. All of this is set out in an admirably clear and forthright way and even without his own positive theory these parts of the book are very valuable on the own as accounts both of Marxists and modern liberal thought (or lack of it) on these matters. This applies also to his kind of analytical history of the idea of the just price which is in itself very valuable never mind its contribution to his own positive account of both the just price and the idea of exploitation. The core of the book is his development of his own theory of the just price and exploitation and this aspect of his work is both powerful and controversial. It is controversial for the reasons that I have stated in that it overturns many of the assumptions of post Rawls political philosophy and shows how both market capitalism and an account of the just price and exploitation can be yoked together. This argument is long complex and subtle and little would be added by any attempt by me to summarise it for the purposes of this report. Having set out his account of the just price and exploitation he goes on to show that these are not just bright (indeed very bright) ideas but do actually have a strong cutting edge which can analyse and illuminate many of our current unease about the nature of capitalism. This is particularly true of the Chapter in which he discusses many of the more exotic financial vehicles and instruments which were implicated in the financial crisis which still endures. The analysis from the perspective that he has formulated of credit default swaps is simply masterly and I think that it is a great credit not just to Reiff but in a sense to the techniques of modern political philosophy that it could cut so deep into what otherwise seem not just to be impenetrable mysteries but in some sense beyond moral reach and moral critique in all but the most generalised and handwringing sense. The detail in this chapter, his engagement with economic and financial theory is impressive and above all clear. He also approaches issues on inheritance and of climate change in the same sort of way. His final suggestion, following Rawls in his Political Liberalism is that his account could be made the subject of an overlapping consensus within a broadly liberal capitalist society and that the theory ought to be compatible with the deepest intuitions and principles of libertarians of both the left and the right. There is no doubt that the book is a long and very challenging read - but it intensely rewarding and very rarely does one come across a book which covers new ground in a comprehensive and authoritative way and in a sense makes one admire so much the discipline which has lead to it. Debates about justice in political philosophy often ask which distributive end state is normatively desirable. The economic mechanisms that generate the “pie” that is to be distributed are usually left unexplored. Mark R. Reiff’s new book, in contrast, does exactly that: it asks what justice means within economic processes, and how changes in the framework of the economy could lead to more justice, including justice in the distributive sense. 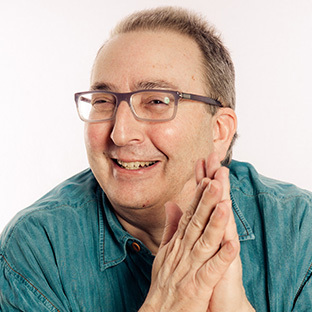 Reiff returns to turn to an age-old idea: the idea of a just price, which he revives by developing a highly original account of exploitation as the use of intolerably unfair prices. Although this may sound like “ideal theory”, Reiff’s account is rooted in the here and now – some might say, too much so – and in order to apply his theory to concrete cases and to defend it against objections, he draws on an impressive wealth of economic facts and insights. These, as well as the fine quality of Reiff’s philosophical arguments, make the book a pleasure to read. Controversial as some of its claims may seem, one hopes that it will inspire fruitful discussions, and add a new dimension to the debates in “economic philosophy”, which receives more and more attention as a subfield of political philosophy. 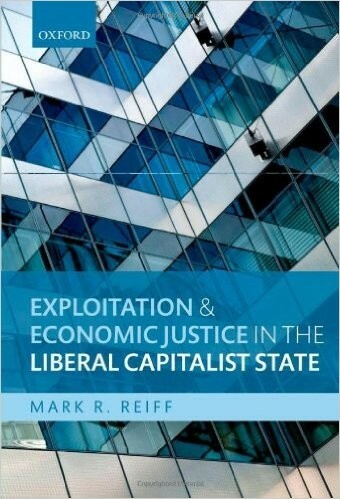 Reiff motivates his theory by deploring the increasing inequality in the Western world, and explains his intention to “articulate and defend a new liberal egalitarian approach to economic inequality, one that is more resistant to being ignored or co-opted by the right, yet one that is also capable of being supported by a wide range of more comprehensive philosophical doctrines, not only of the left, but also of the right”. He makes clear that his approach is not a “comprehensive” theory of distributive justice, rather, it is a “micro-theory”, but one that has “important and profound macro-effects given the infrastructure we actually have”. This infrastructure, Reiff notes, is a liberal society with a capitalist economic system, both of which he takes as given, in order to develop a theory that could be used to change the existing system without having to wait for more far-reaching, but less achievable, transformations. The book is full of inspiring ideas: both the general idea of a “micro-theory” of economic justice built on a notion of exploitation, and the careful discussions of specific issues, offer food for thought and deserve widespread attention and debate. Such debates should include not only political theorists, but also social scientists. The challenges of predicting the effects of suggested changes are much more relevant for non-ideal than for ideal theory. Although Reiff pays careful attention to the available evidence, and sometimes suggests gradual changes, what one would hope for are real-life attempts to put into practice different regulatory strategies, which would help us to learn more about their effects, and hence about their normative desirability. There can be no doubt that Reiff’s suggestions would lead to considerable improvements in comparison to the status quo (and realizing them might open up new paths for farther-going changes). For that reason, and because it opens up a new and extremely interesting perspective on questions of justice in the economic realm, this book is a must-read. This engaging proposal for mitigating the trend toward historic levels of inequality within liberal capitalist societies serves as both a critique within, and a critique of, liberal capitalism. In so doing, Mark Reiff may be seen as joining forces with Thomas Piketty—another important contemporary critic of unmoderated capitalism. It is an important trait of [Reiff's] book that [its] theory of exploitation, advanced in both content and effect, is repeatedly presented and defended in terms of its intended capacity to inform actual economic transactions, and to provide something of a roadmap for the way to a more just liberal capitalist state. Thus, from the outset, the reader is drawn to consider the policy effects of what is being proposed, and to compare those with the practical impact and agility of existing liberal approaches to economic justice. [Reiff's book is] of crucial importance in terms of advancing the question of economic inequality with a novel perspective. [It] will be greatly helpful to students of political philosophy and political economy, especially for those whose interests lie in economic inequality and economic justice. There is much to be praised in this book. The historical survey of fair price theories is fascinating. Unlike in many other contributions, the normative analysis is not reduced to a search in the hyperspace of assumptions: The theoretical analysis never loses sight of actual societies, and all claims are supported by empirical data. Indeed, empirical considerations are not just complementary to the main project; they are an essential part of it. For, as noted, Reiff’s empirical assumptions on the functioning of actual capitalist economies play a key role in defining the core of his theory of justice. Finally, many of the policy proposals are reasonable and realistically implementable, and would be both welfare improving and inequality reducing.